The 2015 Packers Fence with Hulk Lacy was a big hit but Spencer Young and I wanted to take it up a notch for 2016, so we decided to make it interactive. 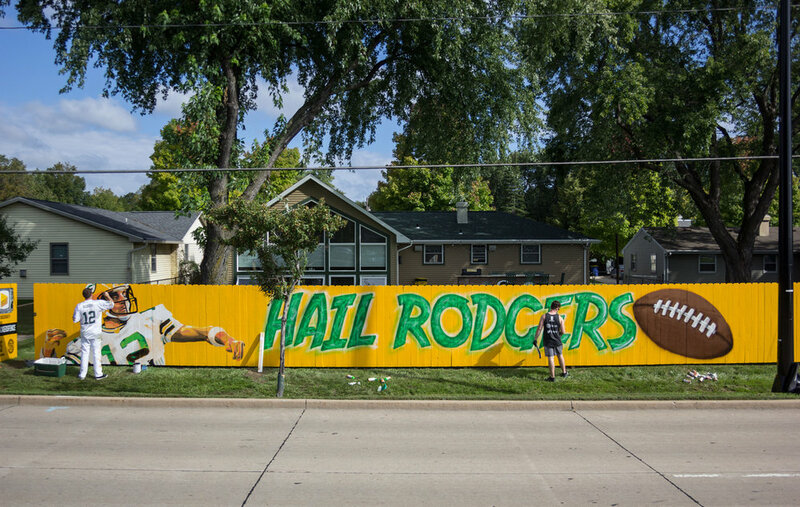 This years fence features a portrait of Aaron Rodgers and Richard Rodgers, both painted by Spencer, alongside the text “Hail Rodgers” and an abnormally large football, both painted by myself. 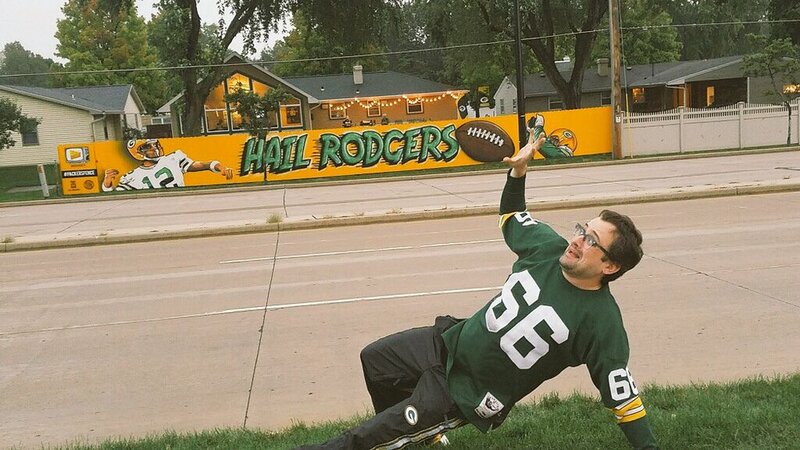 Aaron Rodgers and the football are both scaled in a way that fans are able to pose in front of the fence and make it look like they are catching a pass from the quarterback great. Check out some of the great fan examples below along with a time-lapse video of the 12-hour mural painting.